During motor preparation, the attention is paid more and more frequently to the complex significance of fatigue in the case of the achieved sport outcome. The complexity of this process has not been utterly explained so far. It is important to acquire the profound knowledge about the central and peripheral fatigue while explaining this mechanism, because they remain in the background of the human body malfunction. It needs to be emphasized that both fatigue mechanisms should not be analyzed separately, because they are subordinated to one another. The changes mechanism in central nervous system (CNS) influenced by physical exertion leads to reticular formation impairment. This in turn results in a nalytic and decision making process malfunction. The proper functioning of these centers depends on appropriate neurotransmitters concentration. The short tryptophan to serotonin metabolic pathway plays a significant role in the central fatigue development. The concentration increase of this hormone leads to CNS malfunction, which causes the above mentioned changes. The purpose of this paper was to show, based on the current literature data, the predisposing mechanisms and factors in the development of fatigue. 1. Acworth I., Nicholass J., Morgan B., Newsholme E.A.. Effect of sustained exercise on concentrations of plasma aromatic and branched-chain amino acids and brain amines. Biochem. Biophys. Res. Commun. 1986; 137(1):149-53. 3. Andrzejewski M., Chmura J., Wiacek M., Zubrzycki I.Ż.. Influence of individualized training on psychomotor performance of young soccer players. J Strength Cond. Res. 2011; 22(2): 374-378. 4. Balog E.M., Fruen B.R., Kane P.K., Louis C.F. Mechanisms of Pi regulation of the skeletal muscle SR Ca2+ release channel. Am. J. Physiol. Cell Physiol. 2000; 278: C601–C611. 5. Béquet F., Gomez-Merino D., Berthelot M., Guezennec C.Y. Evidence that brain glucose availability influences exercise-enhanced extracellular 5-HT level in hippocampus: a microdialysis study in exercising rats. Acta. Physiol. Scand. 2002; 176(1): 65-69. 6. Blomstrand E. A Role for Branched-Chain Amino Acids in Reducing Central Fatigue J. Nutr. February. 2006; 136(2): 544S-547S. 7. Blomstrand E., Celsing F., Newsholme E.A. Changes in plasma concentrations of aromatic and branched-chain amino acids during sustained exercise in man and their possible role in fatigue. Acta. Physiol. Scand. 2009; 133(1): 115-121. 8. Brooks G.A. Cell–cell and intracellular lactate shuttles. J. Physiol. 2009; 587: 5591–5600. 9. Burgess N.K., Sweeten TL, McMahon WM, Fujinami RS. Hyperserotoninemia and altered immunity in autism. J. Austin Dev. Disord. 2006; 36 (5): 697–704. 11. Cheuvront S.N., Carter R. 3rd, Kolka M.A., Lieberman H.R., Kellogg M.D., Sawka M.N. Branched-chain amino acid supplementation and human performance when hypohydrated in the heat. J. App. Physiol. 2004a; 97:1275–1282. 12. Calbet J.A., Boushel R., Radegran G., Sondergaard H., Wagner P.D., Saltin B. Determinants of maximal oxygen uptake in severe acute hypoxia. Am. J. Physiol. Regul. Integr. Comp. Physiol. 2003; 284: R291–R303. 13. Castell L.M., Yamamoto T., Phoenix J., Newsholme E.A. The role of tryptophan in fatigue in different conditions of stress. Adv. Exp. Med. Biol. 1999; 467: 697-704. 14. Caruso J.F., Monda J.K., Ramey E., Hastings L.P., Coday M.A., McLagan J.R., Wickel E.E. Blood lactate responses to exercise performed on a high-speed inertial device. Isokinetics and Exercise Science. 2009; 17: 1-7. 15. Chmura J., Nazar K. Parallel changes in the onset of blood lactate accumulation (OBLA) and threshold of psychomotor performance deterioration during incremental exercise after training in athletes. Int. J. Psychophysiol. 2010; 75(3):287-90. 16. Clausen T., Overgaard K., Nielsen O.B. Evidence that the Na+-K+ leak/pump ratio contributes to the difference in endurance between fast- and slow-twitch muscles. Acta. Physiol. Scand. 2004; 180: 209–216. 17. Dahlstedt A.J., Westerblad H. Inhibition of creatine kinase reduces the rate of fatigue-induced decrease in tetanic [Ca2+]i in mouse skeletal muscle. J. Physiol. (Lond). 2001; 533: 639–649. 18. Egeland M., Warner-Schmidt J., Greengard P., Svenningsson P. Co-expression of serotonin 5-HT(1B) and 5-HT(4) receptors in p11 containing cells in cerebral cortex, hippocampus, caudate-putamen and cerebellum. Neuropharm. 2011; 61(3): 442-450. 19. Hannon J., Hoyer D. Molecular biology of 5-HT receptors. Behav. Brain Res. 2008; 195 (1): 198–213. 20. Herzog R.I., Chan O., Yu S., Dziura J., McNay E.C., Sherwin R.S.. Effect of acute and recurrent hypoglycemia on changes in brain glycogen concentration. Endocrinology. 2008; 149: 1499–1504. 21. Jacobs G., Kamerling I., de Kam M. Enhanced tolerability of the 5-hydroxytryptophane challenge test combined with granisetron. J. Psychopharm. 2008; 24 (1): 65–72. 22. Kokkinos P. Physical activity, health benefits, and mortality risk. ISRN Cardiol. 2012: 718-789. 24. Matsui T., Soya1 S., Okamoto1 M., Ichitani Y., Kawanaka K. Soya S. Brain glycogen decreases during prolonged exercise. J. Physiol. 2011; 589(13): 3383–3393. 25. McMenamy R.H., Lund C.C., Oncley J.L. Unbound aminoacid concentrations in human blood plasma, J. Clin. lnvest. 1957; 36: 1672. 26. Meeusen R., Watson P. Amino Acids and the Brain: Do They Play a Roie in "Central Fatigue"? Int. J. Sport Nutr. Exerc. Metab. 2007; 17: S37-S46. 27. Meeusen R., Roelands B. Central fatigue and neurotransmitters, can thermoregulation be manipulated. Scand. J. Med. Sci. Sports. 2010; 20(S3): 19-28. 28. 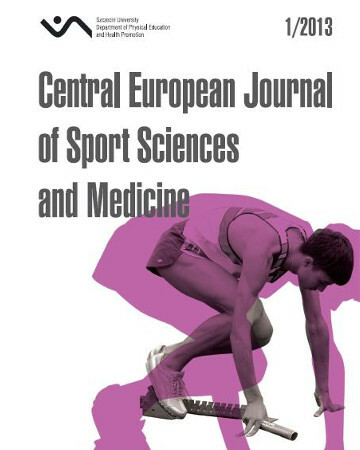 Millet G.Y., Lepers R. Alterations of neuromuscular function after prolonged running, cycling and skiing exercises. Sports Med. 2004; 34: 105–116. 29. Mroczek D., Kawczyński A., Chmura J. Changes of Reaction Time and Blood Lactate Concentration of Elite Volleyball Players During a Game. J. Hum. Kinects. 2011; 28(1): 73-78. 30. Nederhof E., Lemmink K., Zwerver J., Mulder T. The effect of high load training on psychomotor speed. Int. J. Sports Med. 2007; 28(7):595-601. 31. Newsholme P., Curi R., Gordon S., Newsholme E.A.. Metabolism of glucose, glutamine, long-chain fatty acids and ketone bodies by murine macrophages. Biochem. J. 1987; 239(1):121-5. 32. Newsholme E.A., Blomstrand E. Branched-Chain Amino Acids and Central Fatigue. J. Nutr. 2006; 136(1): 2745-2765. 33. Nordlund M.M., Thorstensson A., Cresswell A.G.. Central and peripheral contributions to fatigue in relation to level ofactivation during repeated maximal voluntary isometric plantar flexions. J. App. Physiol. 2004; 96(1):218-225. 34. Nunez V.M., Da Silva-Grigorietto M.E., Castilo E.F., Poblador M.S., Lancho J.L. Effect of training exercise for the development of strength and endurance in soccer. Strength Cond Res. 2008; 22(2):518-524. 35. Nybo L. CNS fatigue and prolonged exercise: effect of glucose supplementation. Med. Sci. Sports Exerc. 2003; 35: 589–594. 36. Place N., Bruton J.D., Westerblad H. Mechanisms of fatigue induced by isometric contractions in exercising humans and in mouse isolated single muscle fibres. Clin. Exp. Pharmacol. Physiol. 2009; 36: 334–339. 37. Purvis D., Gonsalves S., Deuster P.A.. Physiological and psychological fatigue in extreme conditions: overtraining and elite athletes. PM R. 2010; 2(5):442-50. 38. Romer L.M., Lovering A.T., Haverkamp H.C., Pegelow D.F., Dempsey J.A. Effect of inspiratory muscle work on peripheral fatigue of locomotor muscles in healthy humans. J. Physiol. 2006; 571: 425–439. 39. Soares D.D., Lima N.R., Coimbra C.C., Marubayashi U. Evidence that tryptophan reduces mechanical efﬁciency and running performance in rats. Pharmacol. Biochem. Behav. 2002; 74: 357–362. 40. Watts S.W., Morrison S.F., Davis R.P., Barman S.M.. Serotonin and blood pressure regulation. Pharmacol. Rev. 2012; 64(2):359-88. 41. Yamamoto T., Azechi H., Board M. Essential role of excessive tryptophan and its neurometabolites in fatigue. Can. J. Neurol Sci. 2012; 39(1): 40-47.